Cometa Architects is award-winner in the A’Design Awards 2016-2017. A Design Awards is one of the worlds’ largest design competition awarding best designs, design concepts and products & services. 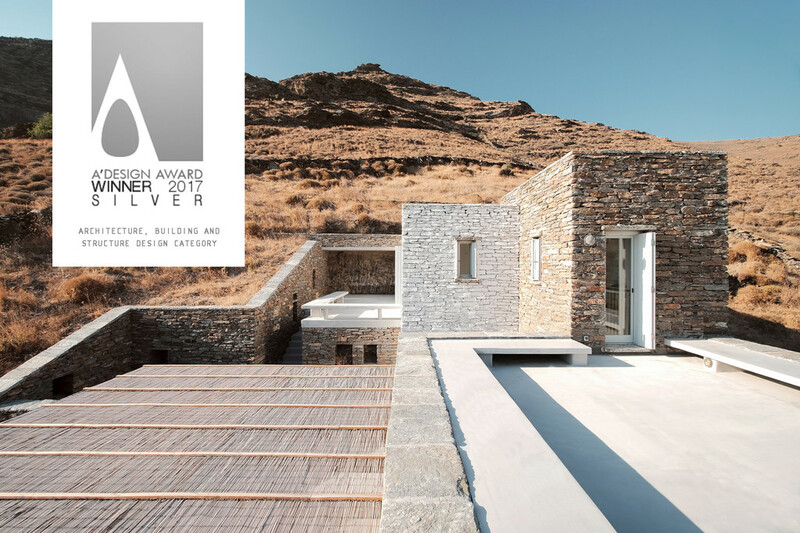 Rocksplit House is Silver Award Winner in the category “Architecture, Building and Structure”. A’Design Awards is a premier annual juried design competition that honors the best designers, architects, engineers, design studios. The A’ Design Award for Architecture, Building and Structure Design is the indicator of quality and perfection in design. The A’ Architecture, Building and Structure Design Competition is a specialized design competition open to both concept stage and realized architectural projects, urban design projects and buildings designed by architects, architecture offices, real estate developers and construction companies worldwide. The International Design Academy. The grand jury panel of the A Design Award & Competition which consists of influential press members, established designers, leading academics and prominent entrepreneurs worldwide.